As first time home buyers, my wife and I were nervous about finding a good and trustworthy inspector. We found exactly what we wanted in Jason. He was extremely detailed and thorough and explained everything to us well. He even sent us our report within 10 hours of the inspection. If we ever move again, we will definitely be using Jason. Excellent experience. My clients found the booking system and payment site to be easy to use. Jason is very thorough in explaining how he conducts the inspection and welcomes questions. As an agent, I found his report to be very thorough and easy to read. The process was very efficient from beginning to end. Semper Fi Home Inspections is the way to go for knowledgeable service with a friendly smile. Jason walked me through everything he was doing, describing why things were an issue, what needed fixed immediately, and what was cosmetic/maintenance related to preserve the longevity of my new home. I received my inspection report same day and it was easy to read with everything spelled out in front of me. I have already recommended him to my friends and family and will continue to do so in the future. We called Semper Fi Home Inspections to inspect a home we are getting ready to purchase. Jason did a fantastic job going through the home and explaining items he found every step of the way. He even gave us tips to fix little cosmetic items also. He was very helpful and very professional. After the inspection he had the report done that day and on the website we were able to create a repair / replace list. This feature was great because you can edit and make notes on each item. It then creates a document showing the items you would like the seller to address. I would certainly use Jason again in the future. I am writing this review about my home inspection experience. It was a great experience. Inspector Jason Brown is very knowledgeable with a great attitude. He answered all my questions and cleared all my doubts. I highly recommend him. I wish to send a review on the inspection done by Jason Brown. He did an excellent job, was very thorough job and explained everything to me as we went through the house. That was very important to me as I have never had to buy a house on my own before. I feel he touched every area and appreciated working with him. I would like to say thank you to Semper Fi Home Inspections. I couldn’t be more impressed with Jason Brown. He was very helpful in explaining what he would be doing and the whole process. Being a first time home buyer, it was great having a full understanding. He supplied us with detailed items in his report and was very organized. Jason also completed the report in a timely manner for us to look over and address issues. I tend to be a perfectionist myself and you impressed me with your thoroughness in looking for problems. I believe that your background as a contractor also helps you in thing to look for since you understand both the inside and outside of items you’re inspecting. I also appreciated your follow-up phone calls to see if I had any questions or concerns about the inspection. Thanks again and I will highly recommend you to anyone that I know that is needing a house inspection. As a full-time Realtor with RE/MAX Ability Plus, having a top rate home inspector is paramount in our business. There is none more qualified or professional than Jason Brown with Semper FI Home Inspections. Having a precise, detailed report done in a timely manner is also important in any transaction and Jason never fails to deliver. I would highly recommend Jason Brown to anyone considering having a home inspection done. In my opinion he is professional and first class, period. Jason did not disappoint. …he was on time, very polite, and thorough. 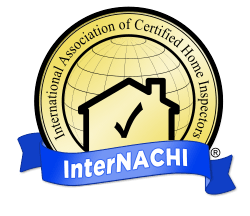 We also received our inspection in a very timely manner. We will definitely be recommending Semper Fi Home Inspections to friends. In the process of buying my first home there have been hurdles and setbacks. Having Jason inspect my potential home was a huge piece of mind. It was a great experience to have someone with the experience and professionalism go over the home and point out things I wouldn’t have known to look for. I am more than happy with my home inspection experience and would recommend Semper Fi Home Inspections to anyone looking for a new home. Being a first time home buyer, I had very little knowledge of what to expect during the home inspection. Jason not only did an amazing and thorough inspection, but his expertise and professionalism were outstanding. I could not be any happier with the outcome of his work and would highly recommend him to any one of my family or friends. Jason was very professional, timely and knew what he was doing. He thoroughly inspected our home to be and was polite, on time, everything you would expect in someone looking out for you and your family. Would very much recommend him. Jason does a very thorough job on the inspection and takes time to explain repair and maintenance items to the client carefully and clearly. As a Real Estate Agent, it is nice to work with a professional inspector who does not add unnecessary drama. I will recommend him again – and again! Jason was very personable and sincere. I will definitely recommend him to anyone I know needed a home inspection. He was down to earth and realistic with the age and condition of the home as well as thorough in his explanation of issues found. Jason Brown was very professional and personable. He even came back to test the air conditioner when the temperature was up. He was finished in a timely manner and I felt very comfortable knowing after the inspection I was buying a good home. I would highly recommend Jason Brown to inspect anyone’s home. Thank you Semper Fi Home Inspections!